There is no doubt you want to maintain the look of your car so it always looks the same as the first day you got it. Washing your car can help, but to always have that shine, you must wax your car. Whether your car is old or new, it can benefit from waxing. How does car wax work? Why is it so important to wax your car? It must be applied when the car is dry and clean. You must work through one section at a time allowing the wax to dry before wiping it off. Waxing is the last step to cleaning your car. It lays on top of the paint and forms a barricade to prevent cracks or scratches from worsening. The main advantage of car wax is it provides protection for your car. The protective layer has reflective properties that shield the car’s paint job from the Sun’s UV rays. The wax layer will also protect against scratches. Thinly layered coats of wax are better than thick ones. You firstly won't waste the product and it's easier to spread. When you wipe off, you don’t wipe a lot of unused wax that didn’t have time to dry. A thin layer of wax is sufficient to protect the paint job. When you apply wax when you should you also make it easier to wash and dry your car. Wax prevents bugs and dirt from sticking to your car making clean up simpler. The wax layer practically makes everything slide off your car. If your car gets wet, the drops won't stay on the car to dry so you won’t have water spots. This also helps maintain a clean look on your car. To maintain this protective layer, you should wax your car at least three to four times a year. Don’t wait for the wax layer to dissolve. You can add to it—by applying a thin layer—to increase the protective qualities. Remember to polish your car is not the same as waxing. Polishing repairs the clear coat on the paint, whereas waxing protects it. Recommended Read: Best Spray Wax for Cars of 2017? There are many reasons why waxing your car is important. The reasons show how wax protects and maintains the look of the car and prevents excessive repair costs. The No. 1 reason why anybody should wax their car is because of the protective layer. The layer is durable which guarantees long lasting beneficial effects on your car. But what does this layer actually protect against? This list breaks down exactly the protective elements of the wax. You’ll realize that it’s vital to wax your car because it helps your car look new for years. The sun’s UV rays age your car quickly because they fade the color. When your car has a layer of wax—even a thin layer—it reflects the sun’s light. This minimizes sun damage to the paint. As mentioned, water slides off the car when there is a layer of wax. Water can't penetrate through the wax to reach the metal or steel frame. This prevents rust from occurring which maintains the look of the car. The wax layer seals in the paint which makes it difficult for the above mentioned to reach your car’s paint. This prevents scratches on your car. When you wash an unwaxed car, dirt and grime can scrape against the paint. You may not realize where these stem from. They could already be on the car, wind can blow them against your car or they’re stuck on the cloth you’re washing with. When the dirt and grime scrape against the paint they scratch and further degrade the surface. This heightens the car’s wear and tear. Therefore, waxing your car is important to prevent this. This is a huge advantage and results in cost savings for you because you don’t need to repair or refinish your car. To fully reap this benefit, you must make sure your car has a wax layer throughout its lifespan. Dirt and bugs don’t stick to the car’s surface. Water droplets will slide off the car too so you won’t have to deal with water spots. Whether you drive your car during a clear and sunny day or rain your car won't get as dirty. This will reduce the number of times you’ll wash your car throughout the year. A car that is shiny always looks better than one that is not. This is also applicable for older cars. Washing your car with ordinary car soap won't give the shine you want. To make your car look new, you need to wax it. Do you want the best effect possible? For that ultra-shine, make sure that the wax has a blend of carnauba wax. 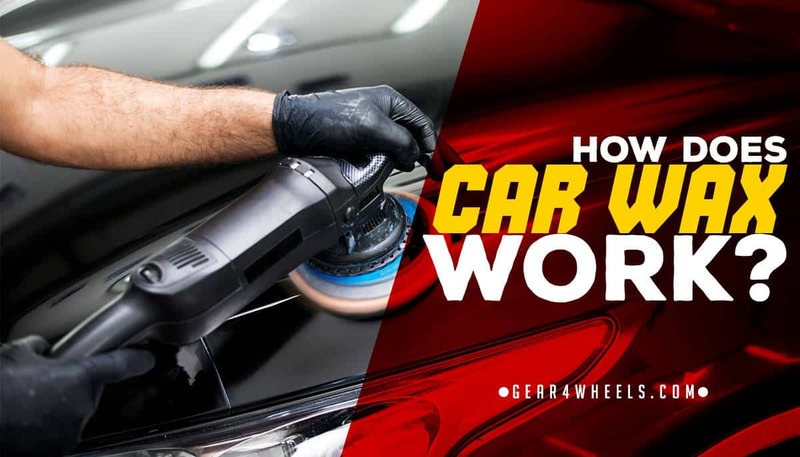 I hope this article has helped you to understand how does car wax work and the different types of wax.